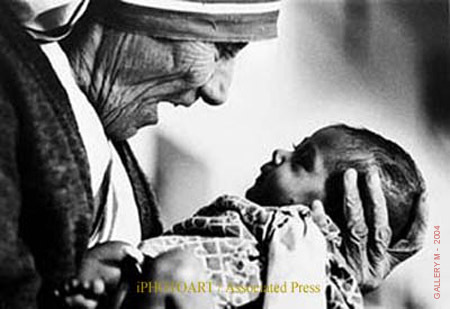 These are all quotes from Mother Teresa, born ‘Anjezë Gonxhe Bojaxhiu’, 1910-1997. Here are some of the things she wrote or said. I hope they will inspire and encourage. Be the eyes of God. See what He sees. See the world as God sees the world. When God sees a homeless man. He sees a precious person who has a painful life, whom everyone else has cast aside. When God sees people fighting against each other, He is grieved because they have allowed their small differences to destroy what they have in common. When He sees a child without parents, He sees the lonely heart abandoned by people who themselves have pain. Be the ears of God. Hear what He hears. God hears the silent tears of the lonely. He hears the voices of the oppressed. He hears the shouts of injustice. He hears the cries of pain. Learn to listen and hear as God hears. Be the mind of God. Think as He thinks. Seek to understand the mind of God, to think as He thinks. Observe things around you and have conversations with Him. Seek His wisdom and knowledge. Know that He wants to bring you to a higher consciousness of His Kingdom. Seek to understand the heart of God. Be the heart of God. Feel what He feels.Feel the pain He feels for those who suffer. Feel the tears He feels for the lonely. Feel the magnitude of His great love and compassion for us His creation. The heart of God is filled with overflowing love and He desires us to participate in His work to bring back wholeness to the world. See that the heart of God is indeed filled with unconditional love. Be the hands of God. Do as He does. God asks us to take everything we have learned from Him and change things. He asks us to use our hands to do His work: To stand up when there is injustice. To love as He loves. To do things no one else wants to do. By making a connection, volunteering, joining a community or offering to help, we do what God hopes for us all to do: love people to Him. Listen to God and do what He beckons you to do. There is so much that needs to be done, but so few persons willing to do the work of God. We can no longer be just bystanders on the side of the road asking God for handouts, comfort and security. We each have a part in His great plan to bring salvation to the world. Many believe that being spiritual is cerebral. Our minds seek only to contemplate and meditate on God, but that is only part of it. Thinking on God is 1% spirituality. Doing the work of our contemplations is 99% of it. Action above all is what is hardest for us to do; yet, ACTION is the fruit of deep spirituality. Contemplation may be spiritual, but when there is no action behind our spiritual thoughts, they become worthless. Like the Good Samaritan, what matters is that love is manifested into action. Not just concern, not just prayer, and not just sympathy, but ACTION. The energy that gets the ball rolling and sets God’s love into motion is ACTION. So many of us pray when someone needs help, yet, no one just goes on in and helps. We pray for someone else to do the work, but perhaps we are the ones who should heed our own prayers. A person of God, sees, hears, thinks, feels and then DOES. Spiritual thoughts are fruitless until they become a part of your life. One who does, follows through with what he has learned and produces fruit. It is the result of our conversations with God. One who thinks only entertains himself. One who does, entertains God. God is excited when we allow our hands to be His hands, because only then can things begin to happen. Only then can work be accomplished. We can no longer remain complacent and removed from everything. He challenges us to walk along with Him and be His eyes, ears, mind, heart and hands to do His work. To walk a closer walk with Him. When our hands do as God does, then we are truly walking side by side with Him toward the Kingdom of God. We, more than others, should carry jumper and tow cables not only in our cars, but also in our hearts, by which means we can send the needed boost or charge of encouragement or the added momentum to mortal neighbors. Living in Alaska, jumper cables are crucial necessities. The winters here are challenging on cars, and I’ve pretty much determined to have the best just in case. Whether I need a jump or can give one, they have already paid for themselves. 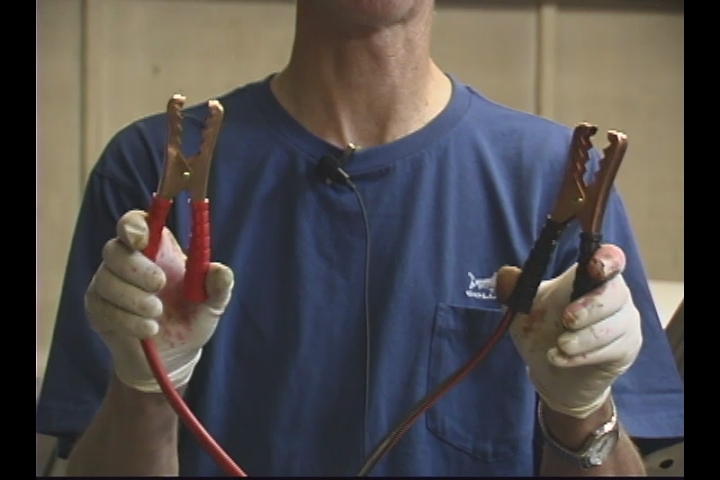 For the non-initiated, jumper cables are used to essentially replace a dead battery. A car that is running can hook up and provide current to a car that is not running so it can start. It just takes a couple minutes with the cables and it is fairly easy to do. The ministry of encouragement has been key in my life. There are several people who have been used by God to encourage me. A Christian brother named John Yokela, who is in his 90’s, comes to mind. He is a solid stalwart of faith, and has helped me on my way many times. I don’t know where I would be without his caring words. The ministry of encouragement is similar to jumping a car. There are people in God’s Kingdom that intervene in our lives. They are equipped with spiritual jumper cables, and just seem to come along when we are dead and are unable to make it work. They come alongside, eager to help and not inclined to judge. They are there to get you moving again, and they seldom will show irritation. We need to learn how to connect with the discouraged brother or sister. Some of our issues are deadening, they frustrate us to the point that we just want to walk away. Our hearts start to toughen and get hard. Life is full of futility and coarseness. But along comes someone with cables, and in just a few moments our situation has completely turned around. What they’ve done seems miraculous, and the grace they carry with them is profound. Father, send to your Church gifts of encouragement. We are needy and we could use a jump from time-to-time. Please provide what we need, and help us to bless others. Give us wisdom, power and grace to reach out and connect others to your Presence. Amen. I just want to encourage you to consider something. Specifically, your relationship with your wife. Whether you acknowledge it or not, she has been specifically given (assigned?) to you for a solid purpose. A couple of simple thoughts. You made a covenant before God and His people to love, serve and honor her– in sickness or health, for richer or poorer. This obligates you for the remainder of your life on earth. All other sisters, are forever off-limits. You are your wife’s exclusive partner. The ring you wear on your left hand must be a reminder of your status; it must ‘speak’ to you of this special covenant always. The girls that you dated before your wedding were special, but they were pretty much there to prepare (hone and polish) you, for your wife. You are a different person because of them. Don’t fantasize about how different life would be if you connected someway with ‘x’ or ‘y’ or ‘z.’ Don’t mess with reality. You are meant to serve your wife. The definite way you honor her is the solid way you serve the Lord God. When you pour out on her, you are pouring out on the Lord Himself. Never, ever compare your wife to anyone else. You are foolish if you do. She is ‘unlike’ anyone else. You must lead your wife, and family to the Lord. You are a priest of your home, completely responsible. You must be an intercessor for them, for they are in your care. God’s grace will meet you, and if you ask for it He will give it to you. All of this should overwhelm you, and if it doesn’t you don’t understand. The Holy Spirit knows all that you need, and He will guide you into the truth. Your children are there as a result of your love for your wife. They are looking to you for guidance. They depend on you at every turn. “Everyone sings the blues, and everyone plays the fool.” You will sin, and fall. There will be serious seasons of doubt, and confusion. There will be seasons when you are disoriented about your wife. But stay the course, and all will be well. I do want to stress that to be a true and faithful husband will demand as much of God’s grace as it would take to pastor a “mega-church.” I surely would not advise you to do the ‘status-quo’ as a husband and father. You can do it, but I think you will regret it later. As a husband (and father) means you are in the ministry, as much as a pastor, or church leader. You must be faithful and humble. What you do, or think affects far more people than you realize. I encourage you to discover other men who share this calling.